Cut-price Toshiba players are driving up sales of HD DVD. Will the strategy work long-term? Last week, we wrote about Wal-mart selling the Toshiba HD-A2 HD DVD player for less than $100. No surprise then that Engadget reports that 90,000 HD DVD decks were shifted in one weekend. 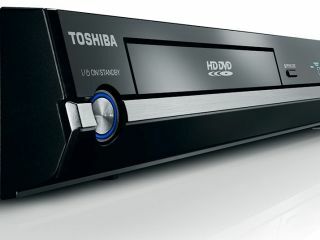 Toshiba and the HD DVD group have long believed that consumers will buy into HD DVD if the hardware is cheap enough. Who's making any money by selling players at a sub-$100 price point? As far as the US offers were concerned, our understanding is that it's the big stores - Wal-Mart, Circuit City and Best Buy - that have been subsidising the HD DVD sales, and not Toshiba. Olivier Van Wynendaele, the European spokesman for the HD DVD Promotion Group, told us last week that the promotion was actually driven by Wal-Mart initially, with other retailers leaping on board when they realised they could miss out a huge sales surge. The 90,000 figure seems to bear that worry out. Van Wynendaele also told Tech.co.uk that Toshiba wasn't in the habit of losing money on hardware. "We can't get our money back from selling software. We are Toshiba. Everyone in HD DVD is either selling software or hardware. We can't follow Sony's strategy to discount hardware and get it back on software. It's not possible unfortunately."